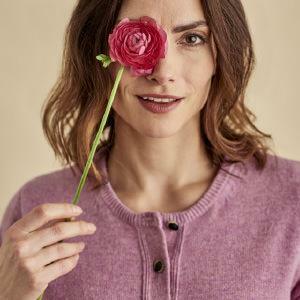 100% Natural knitwear, t-shirts, dresses and more. Styled in the UK. Especially for you. Up to 60% off the WoolOvers Mid Season Sale. Sizes and colours are limited! Once they’re gone, they’re gone! Welcome to the World of WoolOvers. Experts in quality knitwear for nearly 30 years. The softest cashmere, the comfiest cotton, the finest merino wool... we believe in doing it naturally. Jumpers and sweaters, cardigans, polos and much more. We have the perfect outfit for every occasion. Luxurious loungewear, smart workwear, fun partywear and 100% natural classic knitwear for men and women that will never go out of fashion. Complete your outfit with colourful accessories, scarves, socks, hats and gloves. We operate a no quibble returns policy if you return your item within 28 days. Sign up for the latest offers, competitions, inspiration and much more!